Prime Minister Theresa May wins a two week reprieve from British lawmakers, who postponed a threatened rebellion aimed at blocking a no-deal Brexit after she agreed to a possible delay to Britain's departure from the EU. 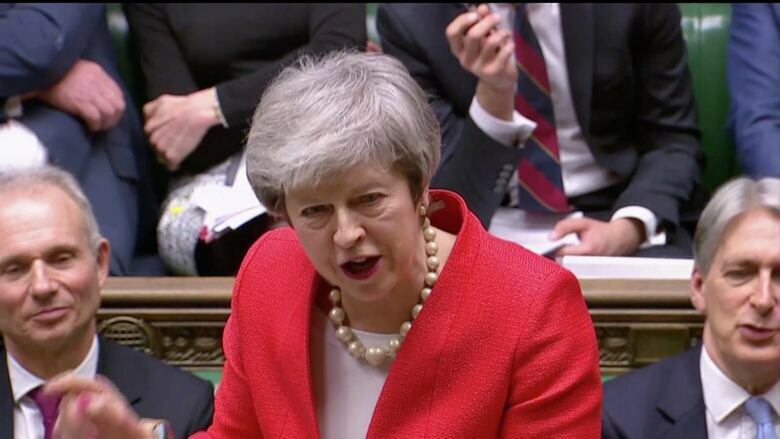 Prime Minister Theresa May won a two week reprieve on Wednesday from British lawmakers, who postponed a threatened rebellion aimed at blocking a no-deal Brexit after she agreed to a possible delay to Britain's departure from the EU. 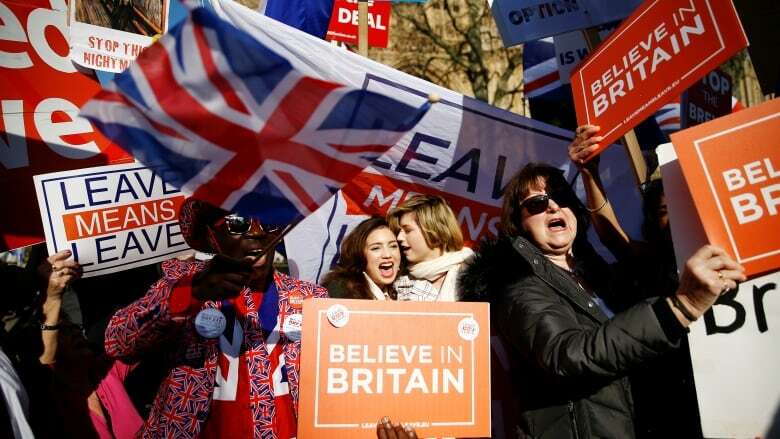 After months of saying that Britain must leave the EU on time on March 29, May opened up the possibility on Tuesday of a short, limited extension to the exit date. That was enough to avert a showdown in Parliament on Wednesday with lawmakers — including ministers in her own government, who had said they were prepared to join a rebellion this week to avert an exit with no agreement. May's climbdown took much of the heat out of a series of votes on Wednesday that could have ripped control of the entire process away from the government. In the end, lawmakers backed her promised timetable. But that now means British citizens and businesses will not learn how, or possibly even whether, they are to leave the European Union until the final weeks or even days before the deadline. After a deal she negotiated with European leaders was rejected on Jan. 15 in the biggest Parliamentary defeat in modern British history, May is hoping to bring back a tweaked divorce accord for a vote, which could come as early as next week but might not take place until March 12. May has now promised that if her deal is voted down, lawmakers will get a chance to vote on whether to leave with no deal, or to ask the European Union to delay the deadline. Lawmakers voted 502-20 in support of an amendment proposed by opposition Labour lawmaker Yvette Cooper that spelled out May's proposed timetable. The government backed the amendment. Before May's concessions on Tuesday, Cooper had been assembling support from all parties for an amendment that would have ensured Parliament had a chance to block a no-deal exit and seek a delay. Wednesday's votes also saw lawmakers defeat a Labour proposal for a permanent customs union with the EU. party to pledge its support for a new referendum. "Disappointed the government has rejected Labour's alternative Brexit deal," Labour's Brexit spokesman, Keir Starmer, said. "That's why Labour will put forward or support an amendment in favor of a public vote to prevent a damaging Tory Brexit." Lawmakers also rejected a proposal on Wednesday by the Scottish National Party calling for no-deal Brexit to be ruled out under any circumstances. Most lawmakers oppose a no-deal exit, but May's promise to allow a vote on that after the vote on her deal was enough to persuade many not to intervene yet. Another measure, calling on the government to guarantee the rights of EU citizens in the event of a no-deal exit, was also passed with government support. "If the British need more time, we would support an extension request if it was justified by new choices from the British," Macron told a joint briefing with Germany's Chancellor Angela Merkel in Paris. "But we would in no way accept an extension without a clear view on the objective pursued." French officials have said Paris would agree to delay Brexit only if that came with a credible solution, for example if Britain called an election, held a second referendum, or presented a new plan that was acceptable to all sides but needed more time to be finalized. Merkel said she was "totally on the same line" as Macron but appeared more willing to show flexibility. "If Britain needs some more time, we won't refuse but we are striving for an orderly solution i.e. an orderly exit of Britain from the European Union," she said. The big shifts on Brexit by both May and Labour this week reflect turmoil within both major parties as the Brexit deadline approaches. Eight Labour lawmakers and three Conservatives quit their parties last week to set up a new anti-Brexit group, the biggest such schism in British politics for decades. Lawmakers in both parties have threatened further defections.